I am translating this game into Chinese and have completed the original task. I hope that I can support several language packs for games, such as chineselanguagepack1, chineselanguagepack2, 3, and 4. Can't have all of them in 1 pack? Can you explain why there are multiple ones needed? RA can only support 256 characters of ascii, so I put the characters used for allied missions into ASCII font, so that RA can display Chinese. One package can't fit all the game text, so I hope I can add a few more packages to guide different parts of the game. Haha, though it is a bit late, i was finally able to test this now that 4k screens are cheap. I always come back to Red Alert every 2-3 years as its one of my favorite games. You are right about the resolution not being able to go above 3000. 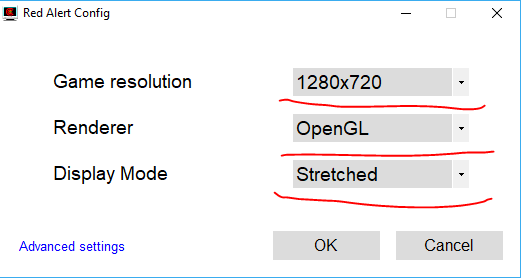 I was able to get 3000x2160 to work just fine, but anything above that would load the game and just show me a fully shrouded map . I could still select the MCV but i couldn't see anything. 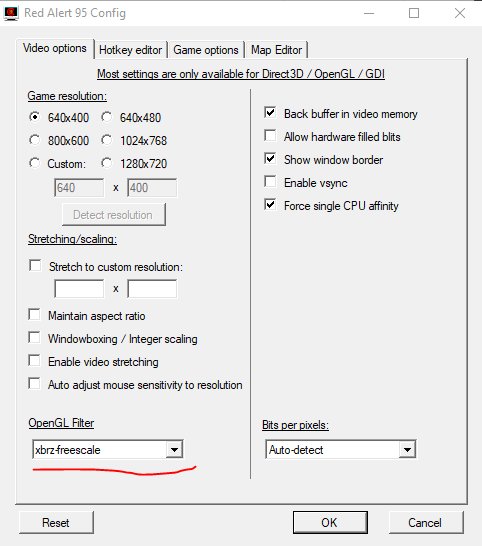 Is this a limitation of the game engine or just something you have to redo for the mod? 3000x2160p is enough to show about 3/4th - 3/5ths of a MEGA (is this an Aftermath only size?) sized map. 3000x2160p is enough to show about 3/5ths of a MEGA (is this a Aftermath only size?) sized map. Hm your right, it works at 3200x2160. Not sure what you mean by unplayable though, it seems to work fine for me. Shaders.. is that an ATI/NVIDIA thing or a recent RA update? Yeah it works fine, everything is just way too small which is making it almost impossible to play the game properly. Support for shaders was added as an update for RA a couple months ago, you can use them to add effects on top of your game or scale the game with a good quality to high resolutions such as 4k.